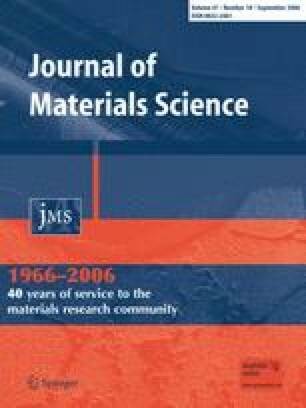 This paper reports a comparative study on structure-property relationship of acrylic rubber (ACM)/silica, epoxidised natural rubber (ENR)/silica and poly (vinyl alcohol) (PVA)/silica hybrid nanocomposites prepared by sol-gel technique under different pH levels (pH = 1.0–13.0), probably for the first time. The initial concentration of tetraethoxysilane (TEOS) (used as the precursor for silica) was kept at 45 wt%, and tetrahydrofuran (THF) for ACM/silica and ENR/silica while water for PVA/silica were taken as solvents. TEOS to water mole ratio was maintained at 1:2 for the rubber/silica systems to accomplish the sol-gel reaction. The structure of the resultant hybrid composites was determined by using electron microscopy, Fourier Transform infrared spectroscopy and solubility. Dynamic mechanical and mechanical properties were also investigated. The silica particles were found to exist as nanoparticles (average diameter <100 nm) at low pH (≤ 2.0) beyond which these aggregate, although the amount of silica generation was not strictly influenced by the various pH conditions in all the systems. These nanocomposites were optically clear and showed superior mechanical reinforcement over the micro-composites containing aggregated silica structures with lower optical clarity. The nanocomposites exhibited higher storage modulus both at the glassy and the rubbery regions as compared to those micro-composites. The loss tangent peak heights were also minimum and the Tg shifted to higher temperature for those nanocomposites. The maximum improvement of mechanical properties was observed with the PVA/silica nanocomposites due to higher level of interaction between the hydroxyl groups of PVA and the silanol groups of the silica phase.